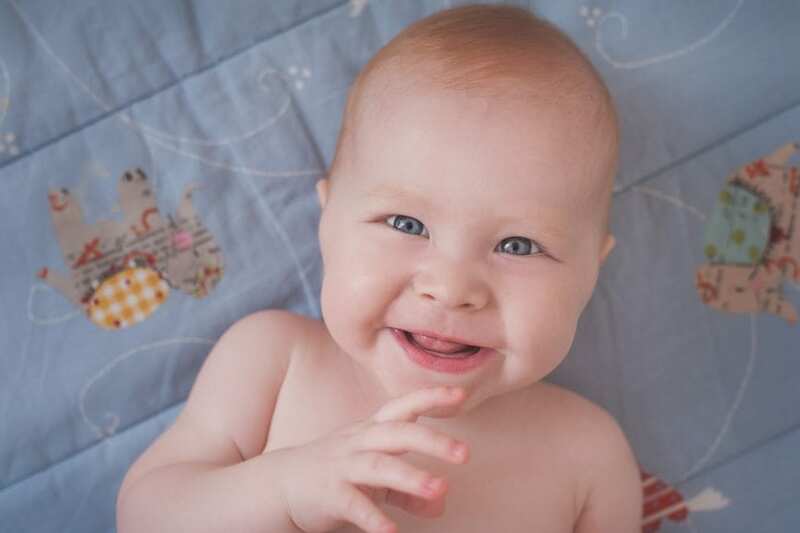 Home > Blog > Are ‘happy babies’ born or made? Are ‘happy babies’ born or made? Happy babies are a joy to behold, great to giggle with and fun to be around. But are happy babies born or made? This is one of the questions I will be exploring with some pioneering parents-to-be in my new course in the New Year. Pioneering might be a little strong but it does take guts to come to a brand new course – especially when it is unashamedly focussed on emotional development; both yours and your baby’s. We embrace the physical development of our babies in pregnancy, and there are even charts to follow their week by week progress, but what is less well known is that their emotional development has also begun. The best way to nurture the baby’s emotions in pregnancy is to nurture yourself and your emotional wellbeing. The womb is not a one way street in which you alone can feel the baby, the baby can also ‘feel’ you. Babies are affected by many influences from outside including your hormonal reactions to both stress (cortisol) and pleasure (oxytocin). In short, your relationship with your baby starts well before they are born. We will talk about the stages a baby has on their path to emotional development and what you can do to help them at each stage. We will also discuss how your emotions will change in pregnancy and when you have a baby. This is quite normal as are the physical changes you experience. I will discuss attachment parenting which is designed to nurture resilience, confidence and calmness in both you and the baby – starting now!